If you’re planning to travel, study, or intern abroad, you have an exciting and enriching time ahead. But there’s a lot of planning to be done beforehand to make sure everything is in place once you get there. Finding a place to live is one of the most important decisions you will have to make. One choice you will have for accommodation is to opt for a homestay with a host family. This is one of the best ways to learn about a new culture, from a secure and comfortable base. You will make new friends, experience a different way of life, and perhaps learn a new language. Choosing the right host family can play an important part in your entire experience. All host families are carefully chosen and vetted to ensure that your homestay will be safe and comfortable. However, there are a few more things that you have to consider when choosing your family. You will want to know about everyone living in the house and their interests. It’s a good idea to make sure you are compatible, and that this will be a good base for your visit or study abroad. For au pairs, there may be questions about the work you will do and the expectations on both sides. Students of all ages travel abroad for study, work, internships and language programs. 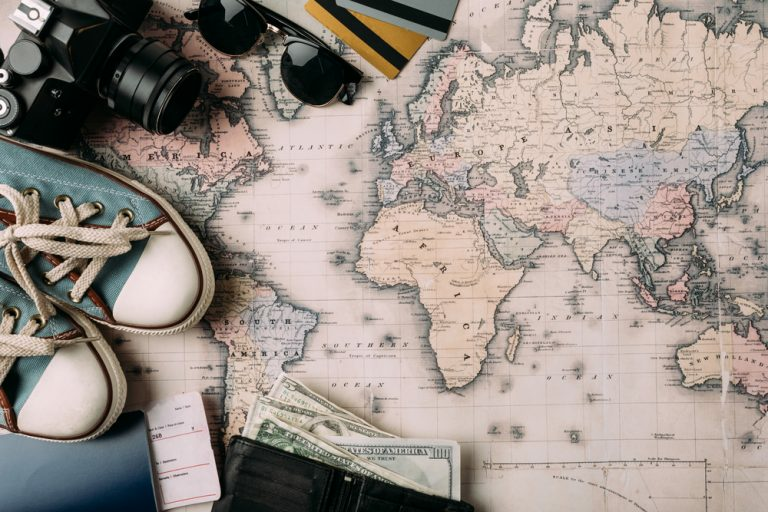 Amid all the planning for travel and setting up your study or work programs, you’ll also be trying to find a place to stay. Many programs offer the choice of a homestay with a host family. For many reasons, this can be one of the best ways to enhance your study, work or travel abroad experience. It’s a convenient option, and In addition, you’ll get a more close look at another culture. Homestays place exchange students and au pairs with a family that will provide a home, along with all other basic necessities like food and other domestic needs. For many people, this is a better choice than the impersonality of a dorm or an apartment suite. It also offers the convenience of not having to set up your housekeeping. You won’t have tp worry about paying bills or whether the heating works. But a homestay with a local host family offers much more than just convenience. Staying with a family gives you the best possible introduction to a new culture. It gives you a safe and secure base from which to exposer your surroundings, learn the language, and take part in local activities. When visiting a foreign country for the first time, you will be faced with many unfamiliar, strange and even disorienting things and experiences. Having a secure home base and friends that you can count on will help you gain the most from your travel. You’re looking forward to your exchange student or au pair homestay experience. The good news is that your prospective host family are just as excited about your visit. They have been especially chosen by your homestay program for their ability to provide you with a safe and comfortable home for your stay in a foreign country. They volunteered to be part of the program which means that they are keen to host a foreign student or au pair. They may have children of their own or their kids may have grown up and left home, and they would enjoy having a home full of young people again. They may have experience of hosting other international visitors before and may have traveled aboard themselves. They will be eager to learn about you and your culture and to share their lives with you. You can also be sure that they have been carefully chosen and vetted by your program. You will still have to choose your ideal host family from the scores of possibilities. There are some steps you can take to make sure that you find the family that is the best match for you. It’s a good idea to communicate with them beforehand, to be sure that expectations on both sides are clearly defined. If you will be an au pair, you should know what work you will be doing, how many hours a day, how many days you can take off, etc. Once you have a short list of host families, you can try to narrow it down for the best match. Some ways to choose your ideal host family are discussed below. You will have a chance to talk to them beforehand, and they may be able to send you pictures of their family and home. You may also find reviews from exchange students and au pairs who have stayed with the family before. Shared interests in culture, sports or other activities are a good starting point to determine if it will be a good fit. Do they have kids your age? What are their hobbies and interests? Will you have opportunities to do things together, such as attending cultural events and music festivals, participating in sports and outdoors activities, and taking trips to nearby cultural and historical sites? The best way to get to know your potential hosts is through communication. This could be via email, phone, or Skype. Email and Skype offer different potential types of communication, so it’s a good idea to use both. Try to find out about everyone who will be living in the house, including pets. It’s also a good idea to find out everyone’s daily routine and make sure you will fit in. While you can use these basic guidelines to find a compatible family, keep in mind that you may discover that people who are completely unlike you have a lot to teach you and you may become fast friends. The whole purpose of your travel and stay abroad is to learn about new ways of life and of looking at the world. You have a lot to learn, and a lot to teach as well. Good communication is the key to finding the best match for your homestay. A family’s communication style will also tell you a lot about what to expect. Make a list of all questions you might have and try to get answers to them via emails, phone calls or Skype conversations. If possible, have at least a few Skype conversations with all family members. You will want to know about the family and household, the location, and how to get around. You may even have questions about the weather and what kind of clothing you should bring or expect to buy once you get there. 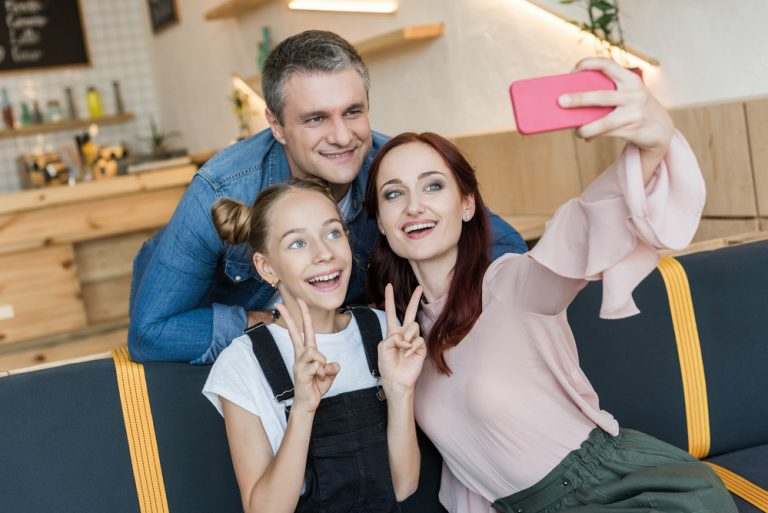 Your potential host family may have local connections with schools, colleges, employers and cultural institutions. These introductions will help you settle in. If possible, talk to all family members and any others who will be staying there. If there are children your age or if you have shared interests, you may be able to do many activities together, such as visiting museums and historical sites, playing sports, attending concerts or even hiking and camping. You will also want to know if there are any pets in the household. Many people are uncomfortable around smokers and if you are among their number, you should look for a non-smoking household. If you have any food restrictions or allergies, make sure that your host family can accommodate these. You will also want to know about the location where you will be staying, whether there is transportation, and how to get around. Will you need an international driving license? How much should you budget for local transportation? Can your host family drive you to places you need to go? Depending on the purpose of your visit, you may have specific questions about your homestay. If you will be an au pair, you will want to know ahead of time what the expectations are from you, how many children you will be looking after, etc. if you’re going to be an exchange student, you may want to find out about having a quiet study space and even homework help if it’s needed. If you’re visiting for an internship, you should make sure that your daily routine will fit with everyone else in the household. If the purpose of your visit is to study the language, make sure that your host family understands that, and that someone is willing to spend time helping you to improve your conversational skills. They may also be willing to accompany you on trips to local sights and cultural events and to treat these trips as language study field trips. Some host families treat exchange students and au pairs as family members. They may ask you to join in holiday celebrations like Thanksgiving and Christmas, and to celebrate your birthday with them. If you prefer to spend your free time on your own, this may not work for you. On the other hand, you may be happy to join them and find that you have acquired a second family, and created a lifelong bond. The homestay experience for au pairs is a little different because they will be working for the family. Their tasks might include babysitting, helping with housework, perhaps driving the kids to school and after-school activities. You will want to ask about the kind of work they expect you to do, what your daily schedule will look like, and what your hours will be. In some countries, au pair hours are defined by law. You should also ask about weekends and days off, and whether you will accompany the family on trips and vacations. It will help to know about the parents’ schedules, and also if there are any medical problems that you should be aware of and what to do in case of any problems. It’s a good idea to agree upon a monthly stipend in advance, and whether you will need to pay for an insurance policy. In choosing an au pair situation, you may also want to know why the family decided to host an au pair, and whether they have done so before. They may be able to put you in touch with their previous au pairs, via email, phone or social media, to learn about their experience with the family. You will also want to know if you will the only au pair or if there will be others with you. ﻿﻿Once you’ve done all the spadework, you’ll be in a better position to choose the best host family. When making a decision, you should go with your instinct, which will guide you. If something feels wrong, you can refuse the situation. And on the other hand, if something feels right, go ahead and trust that instinct too. You won’t find a family that’s a clone of your own, but that’s not your purpose. You’re looking for a new experience that will help you to learn and grow. The purpose of travel abroad is to learn about people and ways of life that are different from your own. The best way to do this is to keep an open mind and enjoy yourself, whatever adventures come your way. By doing your spadework and finding the right host family, you’ve created a secure base from which to go out to explore a new and exciting place. And you may find that in the process you’ve gained a second family in another country.